1. We began by looking at an example, the Butterfly ebook created by our school’s last First grade class (in 2011). We discussed how this book is visible to anyone in the world with an Internet connection and the importance of doing a really good job when publishing. 2. 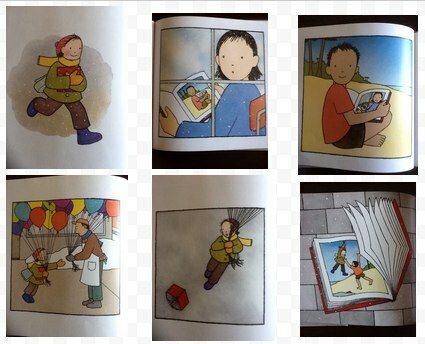 As a class, we used our visual literacy skills to briefly describe all six pictures I had preselected from The Red Book. 3. 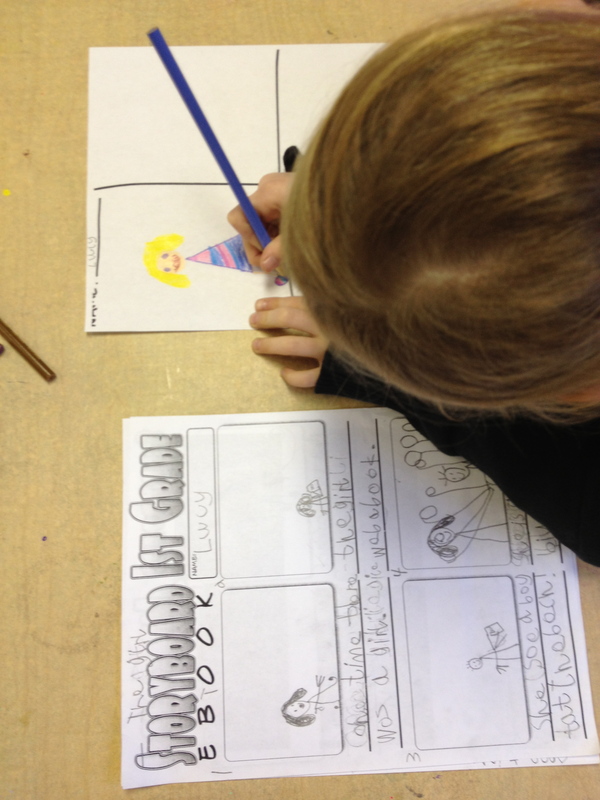 With a copy of the six pictures in hand, students then each decided on the order of the pictures for their own stories and used a storyboard template to develop their stories. 4. The next lesson was spent transferring (typing) handwritten text from the storyboards to the Book Creator app. 5. Once typing was completed, students created the artwork on paper with colored pencils. I then used each student’s iPad to take photos of the pictures and imported them into each story. 6. An important part of the eBook creation process was the review and edit process. Students used a Book Checklist while reading through their stories and carefully marking off each box. 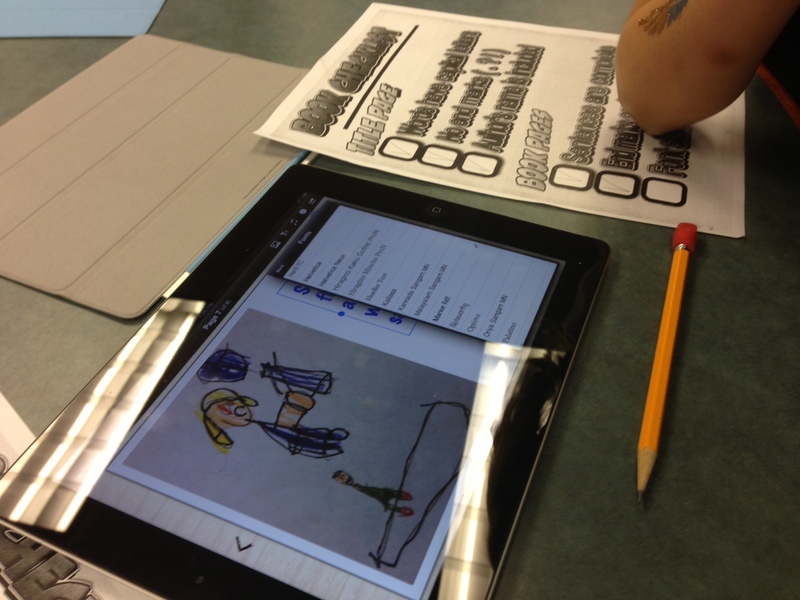 Check out some of the very creative eBooks by the 1st grade authors! Lastly, it was time to reflect on our learning. We first reviewed the process of creating our eBooks by remembering all the different steps. 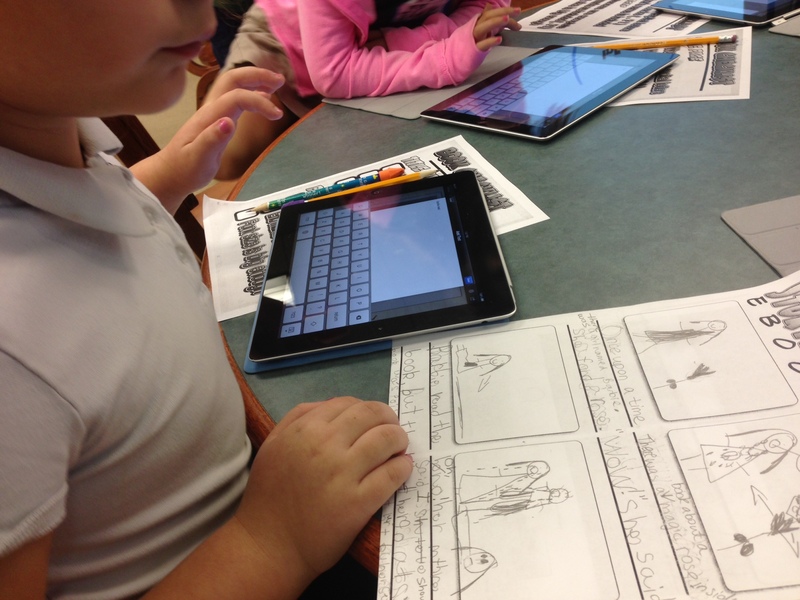 We also discussed the different products used (iPad, pencil and paper, storyboard template, editing checklist). Finally, we talked about the skills we learned (identifying literary elements in fiction, using different products, matching illustrations with our sentences, editing our work). 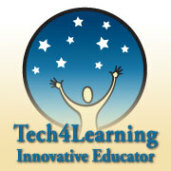 Before video recording student reflections, I offered my own reflection as a model for the students. I’ve learned that 1st grade students are very creative. I’ve learned that even though they cannot yet spell many words perfectly, 1st graders like to write. And they like to draw too! I’ve noticed that 1st grade students know all about setting and character and used both in their books. I’ve discovered that 1st grade students quickly learn new words, like font, end mark, and checklist. Also, I’ve discovered that 1st grade students love working with the iPads. They are little wizards with this tool! Swiping and tapping comes naturally to them, and even though I only asked them to change the font size to make it more easily readable, they immediately discovered how to change the font style altogether. I’ve learned that creating eBooks is a great skill builder. 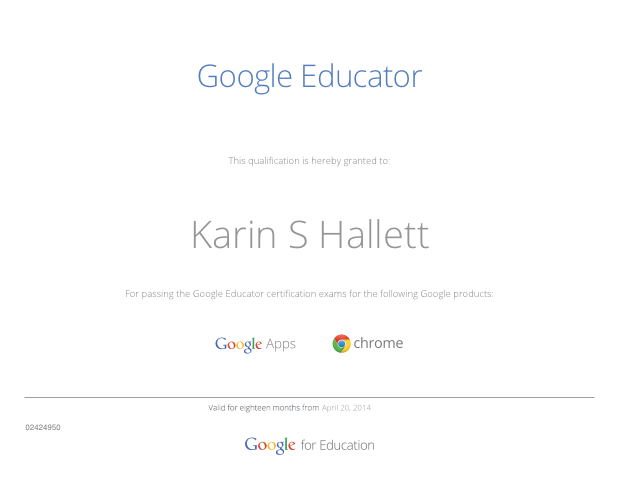 I’ve truly enjoyed working with 1st grade on our very first eBook creation! Listen to the student reflections in the following brief video. I am looking forward to your feedback! This is really well done! I love how they are giving their own feedback on their books. 🙂 Good Job, 1st grade! Loved the project! Would love to try it with our 1st grade students at Yavneh Academy. Where were the colored drawings? Did they draw them onto the storyboard? Wow sounds great!! Would love to speak to you more about many other factors to see if this is something we can do at our school.